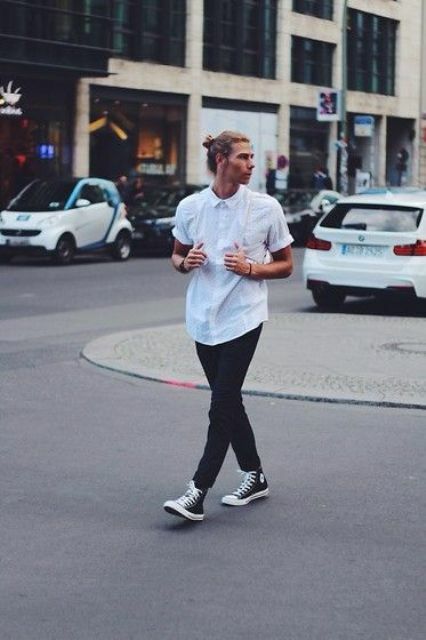 Converse sneakers are very popular shoes for anyone, they are comfy and look great for casual and sporty looks. 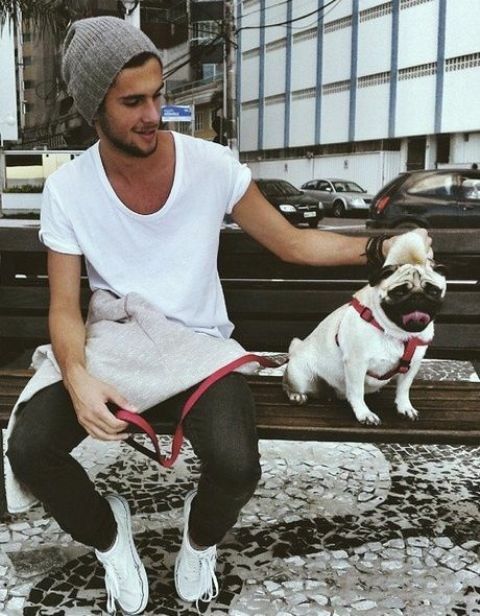 They used to be skaters’ shoes but they are so cool and cozy that they’ve become shoes for everyone, from the little ones to adults. 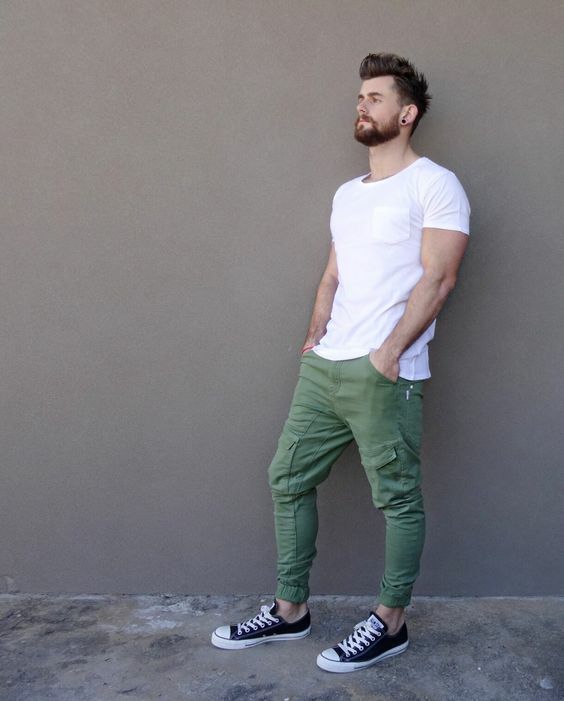 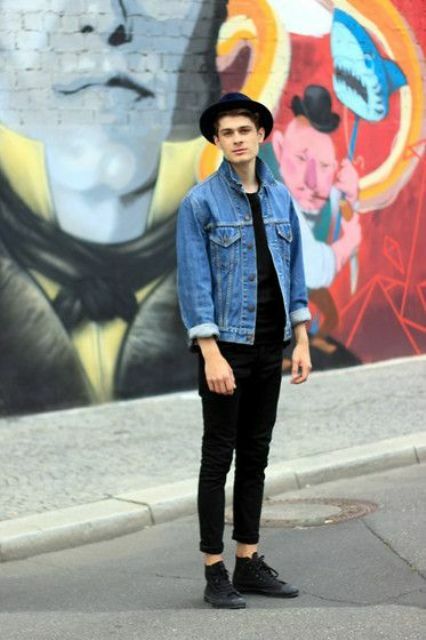 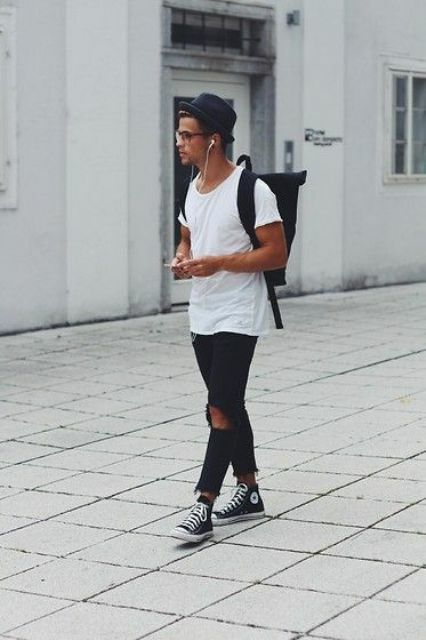 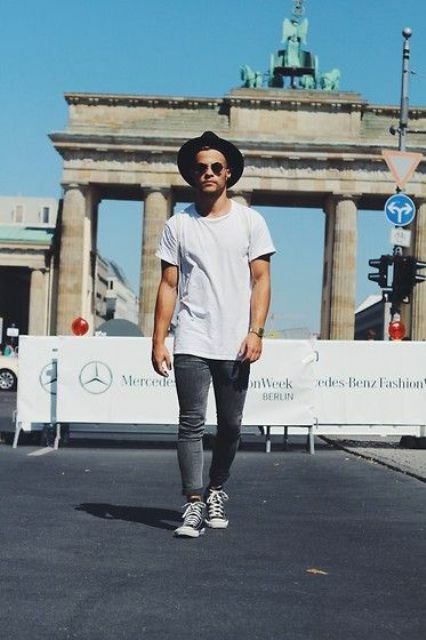 We’ve already told you of girls’ outfits with Converse, and today I’d like to share some stylish looks for guys. 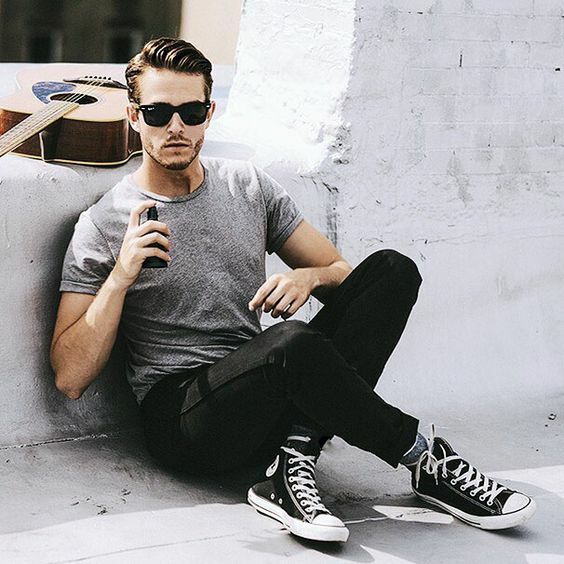 Converse sneakers have stylish design and are very comfortable in wearing, you can rock them literally everywhere, from shopping to picnics with friends and even to work if it’s allowed. 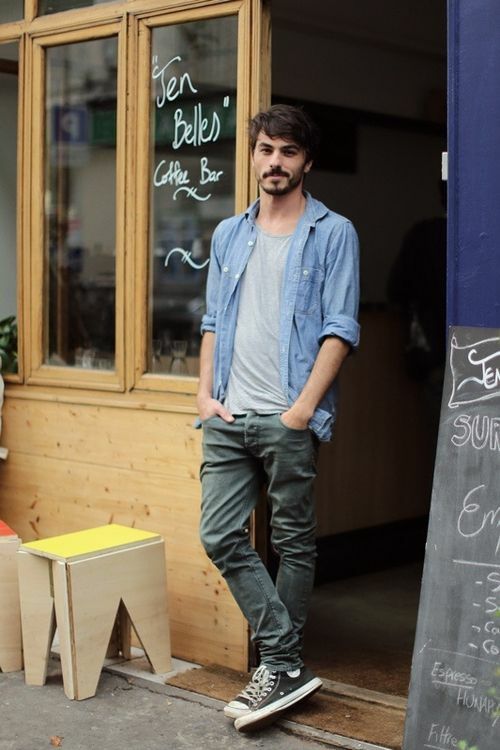 For summer there are two basic ideas for men: shorts and light denim, let’s have a look at them. 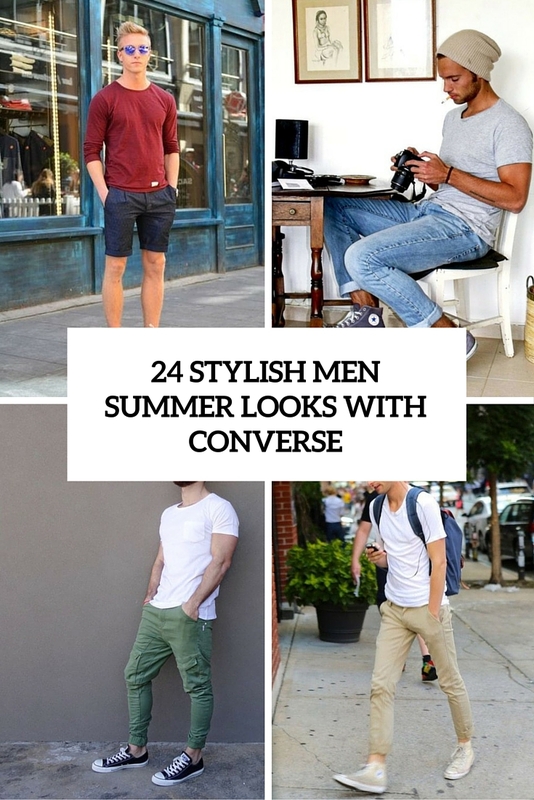 As it’s rather hot right now, it’s high time to rock some shorts and Converse! 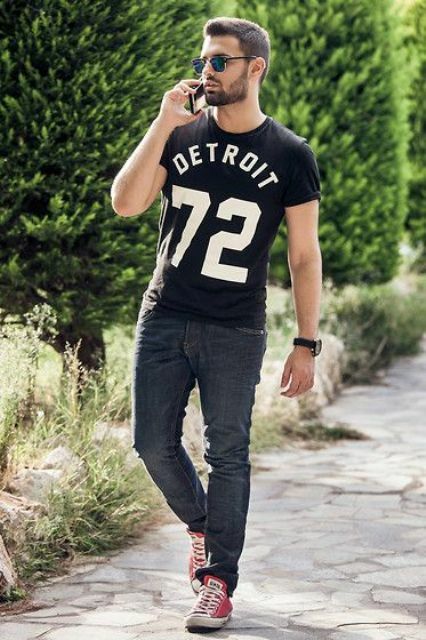 Denim or usual shorts of natural fabrics, a cool printed tee or a plain one and Converse of the color you like – voila, your casual summer look is ready! 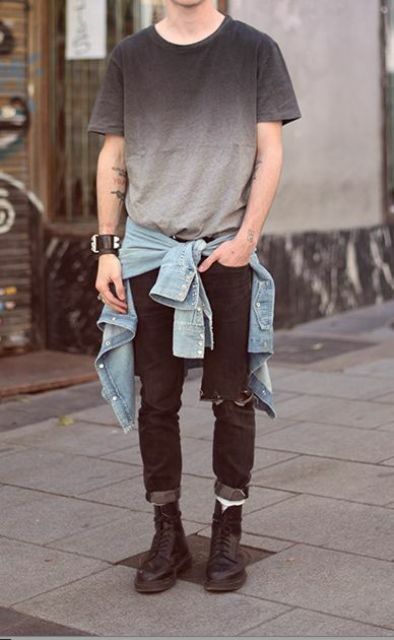 Jeans and a tee is a classical look for any man. 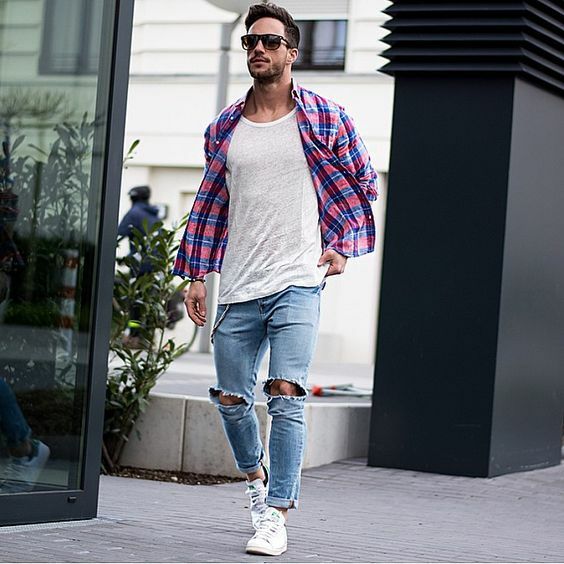 Light summer jeans, especially distressed ones as it’s very trendy, are a great alternative to shorts when it’s chilly outside. 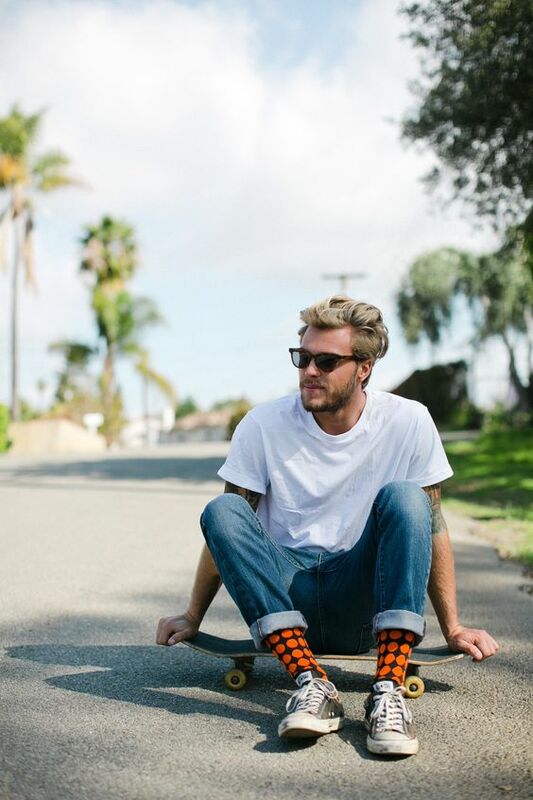 Pair them with a casual t-shirt or a checked shirt and add Converse to look hot and cool. 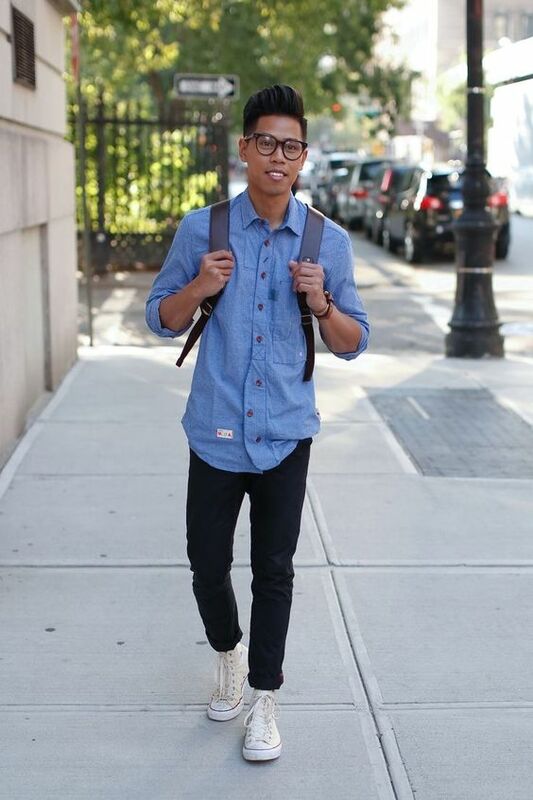 Another idea is to try a chambray shirt with jeans as denim on denim is a trendy idea. 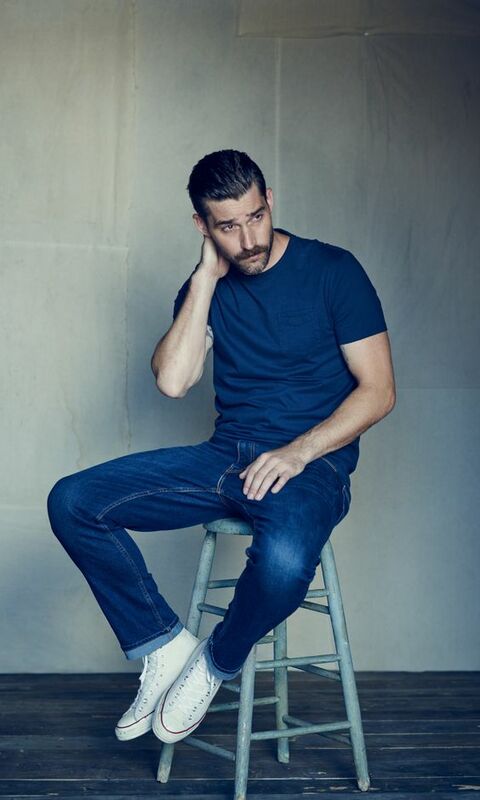 Skinny, white, black, navy or light blue jeans – it’s up to you and your wish.